It is late afternoon at the Royal Manchester Children’s Hospital and the smile on the handsome face of young Dylan Samuels begins to dim. A nurse has arrived, armed with the latest batch of intravenous antibiotics. Dylan grimaces as she works her way through the syringes. She places a tissue over his palm, soaking up the blood that has come from a thumb prick that is required to check the antibiotics are still the correct dose for him ‘Not very nice,’ he admits, shaking his head. Moments earlier, this charming 14-year-old boy had been reflecting on happier times, on his four years spent as a dynamic central midfielder in the Manchester United academy. Dylan loved every second. He floods with enthusiasm as he recounts the training sessions at The Cliff and Carrington, the Tuesday evenings he would spend honing his skills under the tutelage of Rene Meulensteen and the occasions when Gary Neville would come along unannounced to coach Dylan and his pals. Dylan’s dad Stephen grinned. ‘They were two pretty bad, late challenges,’ Dylan admits, letting out a giggle. Perched on his bed and enveloped by his family - parents Steve and Gail and younger sister Natasha - Dylan sighs and glances around his surroundings. He no longer takes up residence on the lush grass of United’s training ground but a secluded room on Ward 85 of this hospital. It is here that Dylan spent six months last year and has barely been able to go home since the new year. Dylan goes quiet. He has cystic fibrosis (CF). It is a genetic condition - in Dylan’s case pre-natally diagnosed - where sufferers have thick mucus clogging up their lungs. It makes breathing and digesting food particularly difficult. Around 10,000 people in the UK suffer from CF and only half will live to celebrate their 40th birthday. Dylan’s story is extraordinary as not only has he battled this illness with fortitude but he also did so while emerging as one of the most sought-after young footballers of his generation in the North West. 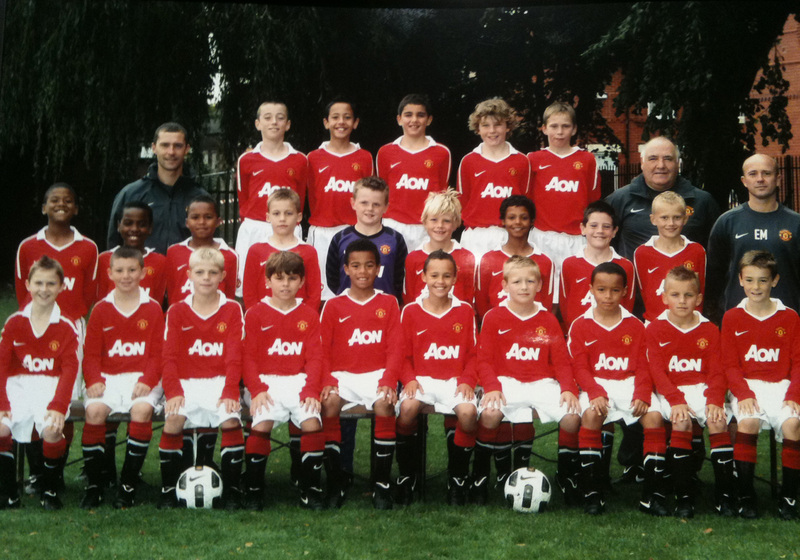 He trained with Manchester City, Liverpool and Bolton but he comes from a United family, so United it would be. 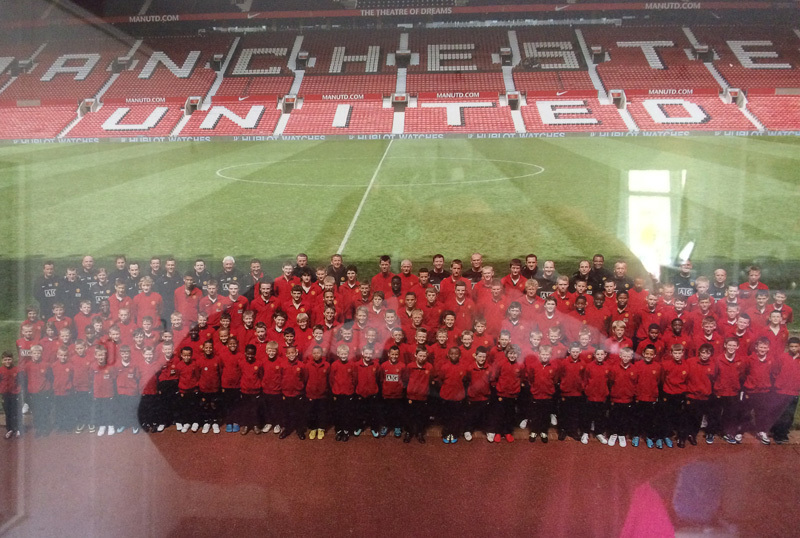 ‘He was a very good footballer,’ United’s academy co-ordinator Mike Glennie tells Sportsmail. ‘When we take a player on, he fills out a medical form. Of course, the condition stood out. I took advice from the club’s medical team and doctor. Some clubs might have said no. We thought the boy could really play. I have not seen other footballers go as far as he did with the condition. We didn’t take him out of sympathy. ‘He was scouted playing for his local youth club. He then went into a development centre and his quality was so high that we then brought him into The Cliff. He was competing and bettering the highest level of talent in the North West. Dylan’s story was - is - inspirational but it has taken a tragic twist. Eighteen months have passed since Dylan last kicked a football. Dylan had remarkable quality. He had a good presence, he moved well with intelligence. He was competitive, skilful. He had pace and above all he enjoyed playing football. He played with a smile. He’s a lovely, lovely boy and a smashing lad. We only have good memories of Dylan at Manchester United. He was a very good footballer. When we take a player on, he fills out a medical form. Of course, the condition stood out. I took advice from the club’s medical team and from the club’s doctor. Some clubs might have said no at that point. We thought the boy could really play. I have not seen any evidence of other footballers go that far with the condition. We didn’t take him out of sympathy. We wouldn’t do that. It was right at the time because he had the quality. We knew there might be a point where he began to struggle but at the time it was the right decision. The boy’s dad explained how playing at that intensity could keep him fitter for longer and it became a moral question for us. We took him on and he stayed as long as he could. Dylan was scouted playing for his local youth club. We have a tiered system where he would then go into a development centre and his quality was so high that we then brought him into The Cliff. He was competing and bettering the highest level of talent in the North West. In July 2011, an annual health review showed Dylan had contracted an NTM (nontuberculous mycobacterial) infection called Abscessus. Over the past two years, Dylan’s health has gradually but seriously declined. The infection has damaged and scarred the upper part of his right lung. Barely a day passes when Dylan is not sick. His weight has dropped to only five-and-a-half stone, requiring him to pump high-calorie food into his stomach through a feeding tube. His cystic fibrosis is particularly acute as he inherited different strains of the disease from both of his parents. His mum passed down the Delta F508 gene, which affects 90% of CF sufferers in Britain. Dylan also inherited from his dad a particularly rare ‘Class One’ mutation - the W1282X gene. This affects less than 1% of CF sufferers in the UK. There is, as it stands, no cure for Dylan’s condition. All efforts are being placed into controlling the NTM infection but it is not proving easy. Gail says: ‘The routine is to try the combinations for 3 weeks, then you stop for 3 months to see how it works but he doesn’t manage to make it through that period. ‘The NTM symptoms return: the fevers, the loss of appetite, the coughing, the sickness. He then comes back in and starts the IV’s again. We just have to persevere. 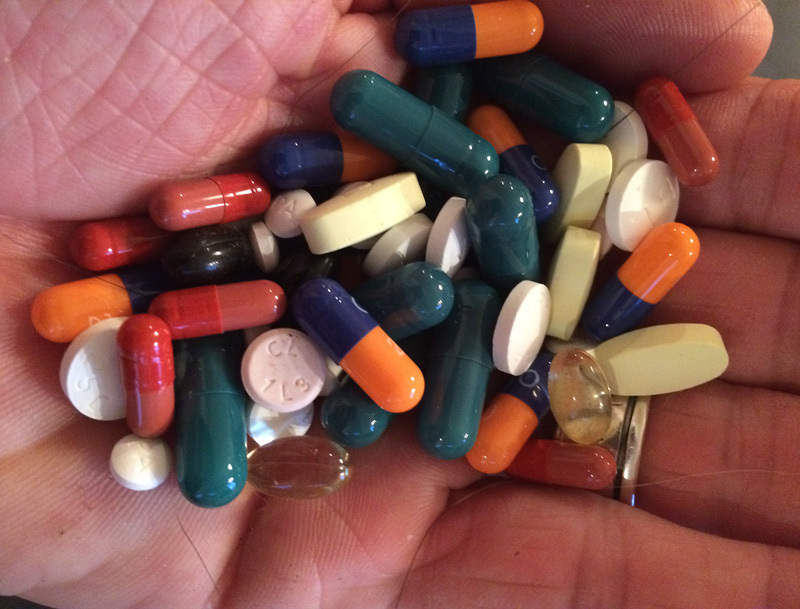 We’re trying to battle the weight but these drugs are terrible for making you sick. Dylan’s condition is worsening. That he is still here today is thanks only to a brutal drug regime. He takes up to 50 tablets a day, in addition to the daily physio sessions and the high-calorie food supplements that are administered via his gastrostomy while he sleeps. For a boy so active just two years ago, it has been an ordeal. At school, Dylan has always been a bright pupil. His parents were proud when he earned a place at Manchester Grammar School. He left a year ago to attend a school closer to home, after becoming too poorly to make the most of the experience. For Dylan, it has been hard to take. Although he rarely complains, he admits that on the inside, he becomes angry. ‘Yeah, you do. You ask yourself “Why me?”. But you have to fight. You don’t give in. I learned that at United. ‘I was a fit boy at United. Now I couldn’t walk from this bed to the car outside without having a coughing fit and needing a sick bowl. As for football? Dylan turns his head away, his eyes moistening. ‘He’s a long way away from that,’ Gail admits. They have recently started a new combination of drugs and Dylan tries, admirably, to remain upbeat. There are options available for Dylan. 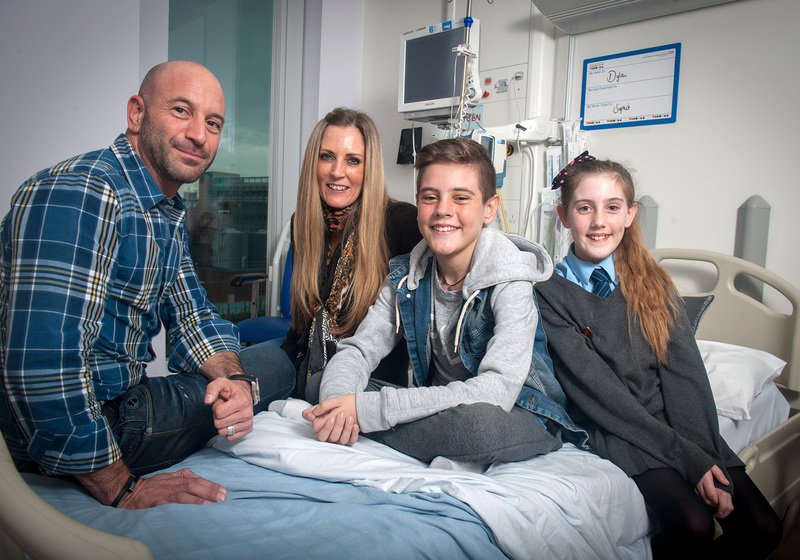 Yesterday (Wednesday March 4), the family were given fresh hope when The Cystic Fibrosis Trust announced £20,000 funding for a 10-month stem cell research project that could correct the mutation in Dylan’s W1282X gene. There may yet be a happy ending. ‘We finally have some light,’ Gail said. The family are praying there will be a breakthrough cure but all options will be considered. 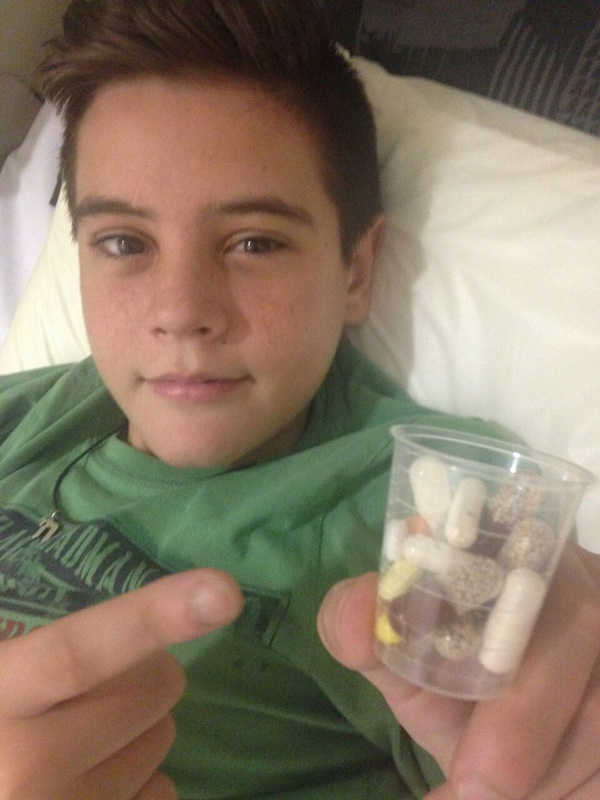 Should Dylan’s lung function continue to drop, a lung transplant could be one. Cystic fibrosis patients are seriously considered for transplants when their lung capacity drops below 30%. 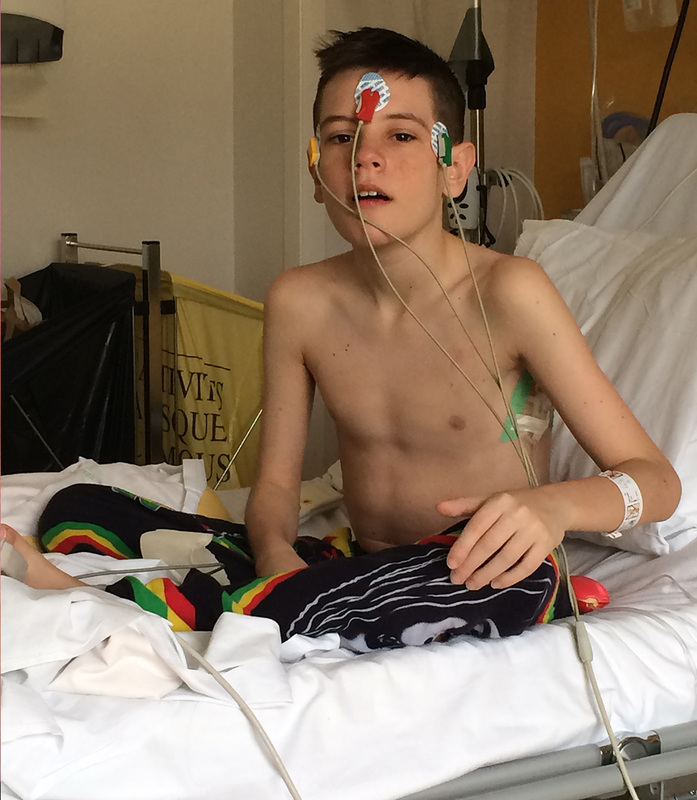 As it stands, Dylan’s lung function is in the early thirties, leaving him in the cruellest juncture where he is suffering terribly but not quite badly enough to qualify for a transplant. In the next five weeks, he will be referred to Great Ormond Street for an assessment. Gail says: ‘It will be four days down there and they will see whether his quality of life is compromised enough to qualify for a lung transplant. A transplant would not cure him but it could strengthen him. ‘We know there is always someone in a worse situation. But if he can’t walk to the car, if he can’t run around, if he can’t go out with his friends, if he can’t do the things a child should be able to do....’. Her voice tails out. Dylan’s consultants and nurses could not be any more gentle but in the darker moments, there are times when it is hard to keep the faith. The days where Dylan is sick walking from his bed to the toilet. The days where he coughs so hard that blood spurts out. The days where he is so weak, so fragile that his dad has to carry him up the stairs in their Manchester home. In the hospital, CF patients do not mix, due to fears of cross-contamination with infections. I ask if it can become a lonely existence. Steve lies with Dylan every night in hospital, beside the wires and tubes. Amid all the pain, all the suffering, there is something heartwarming about their relationship. They smile at one another and the room falls silent. The conversation moves on and we broach the issue of life expectancy. I ask how Steve and Gail focus on their everyday life. Steve manages his own promotional merchandise company. ‘I do two hours in the gym every morning. I am up at 5am to change Dylan’s feed and then I go to the gym at 5.30am. You don’t switch off but it clears my mind. I go out running and have a big cry. That’s my way of dealing with it. Gail has daytimes with him, she sits with him through it all. She finds it a hell of a lot more difficult. This remarkable family have a strong network of family and friends. It’s worth remembering, amidst all the headlines this sport creates, there are some wonderful people in football, too. When Dylan’s former coaches at United learned of the deterioration in his condition, they invited his dad down to The Cliff. Seven coaches sat down with Steve over a cup of tea reflecting on his boy with the bright smile and infectious enthusiasm for the game. A foundation is to be established in Dylan’s name and is likely to be launched with a fundraising dinner later this year. 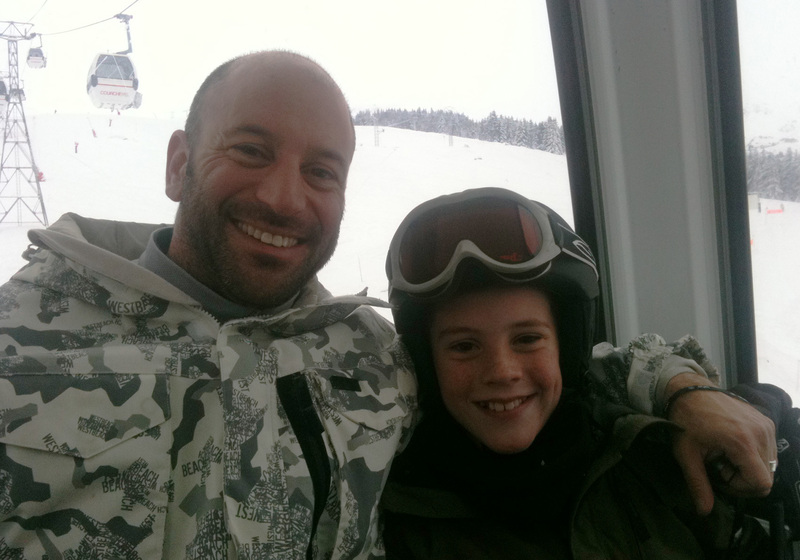 ‘There’s Something About Dylan’ will encourage donations to the Cystic Fibrosis Trust, the charity for which Steve has already raised close to £30,000 for the Trust, through a London to Paris bike-ride, a three-peak challenge and two Tough Mudders. ‘You were whining at the top! I don’t wanna do it!’ he giggles, putting on his best impression of a crying baby. Laughter breaks out across the room. Why is it that CF patients are more vulnerable to infections? People with cystic fibrosis are vulnerable to different bacteria or 'bugs', which grow in their lungs. While these bugs are usually harmless to people who don't have cystic fibrosis, they can settle in the lungs (colonise) and be harmful for those who do. These bugs can be easily transmitted from one person with cystic fibrosis to another. People with CF should never meet in person due to the risk of cross infection. Why does CF make it difficult to digest food? Malnutrition leading to poor growth and poor weight gain (even if you have a good appetite and eat a lot, as the problem is with digesting and absorbing the food). Large, smelly, greasy, fatty faeces (stools or motions) occur in about a third of cases. 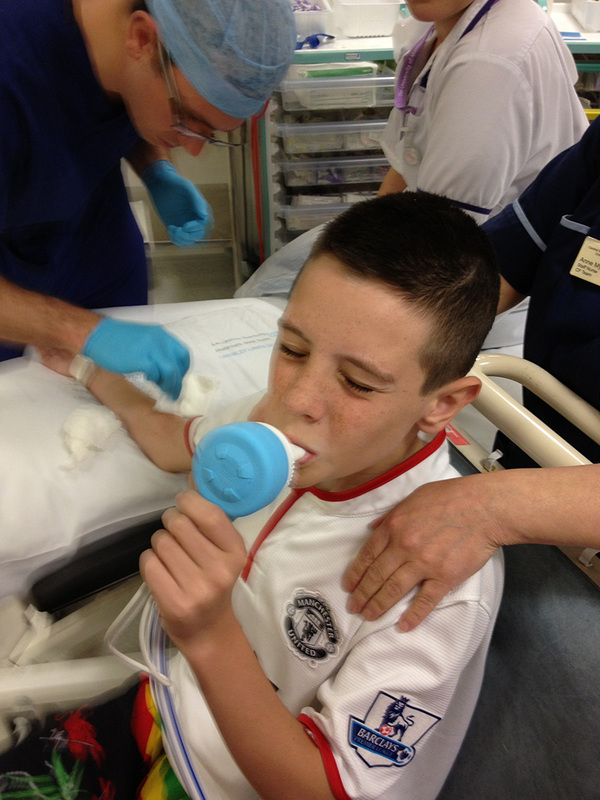 At what age is cystic fibrosis normally picked up? How common is it in the UK compared to other countries and is there a reason for it being high/low here? The newborn screening (the heel prick test) has been routine in the UK since 2006, meaning that the vast majority of cases are picked up whilst the baby is still an infant. There remain cases where newborn screening fails to pick up a CF diagnosis, because it does not screen for every CF-causing gene, but this is very rare. Prevalance in the UK is 1 in every 2500 births. The UK, Ireland and Belgium have the highest prevalence of CF in Europe. France, Germany and Italy also have large CF populations. CF is a genetic disease and is prevalent in Caucasian communities. The incidence of many genetic disorders varies from one ethnic group to another. Cystic fibrosis is most common amongst North Europeans and their descendants, for example in the US, Australia and Canada. Source: Cystic Fibrosis - How is CF diagnosed? How 'normal' is it for CF patients to reach an elite level of sport? It is not possible to accurately predict this. Many different factors — for example, severity of disease and age at diagnosis — can affect an individual’s health and the course of the disease. However, people are living longer and there are many good examples we have here, at the Trust, of people doing great things despite having CF. For example, Nick Talbot is attempting to summit EVEREST shortly, and Bianca Nicholas has recently been announced as the Eurovision entry. Both of whom have CF. 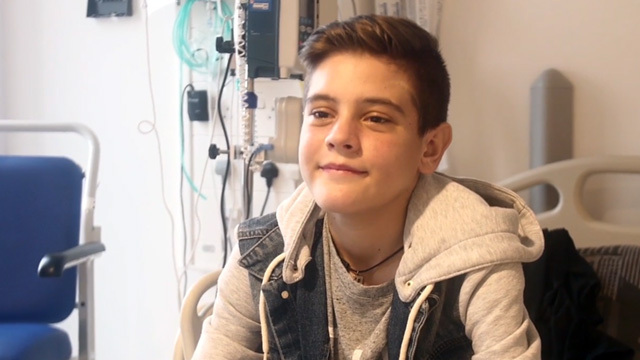 The Cystic Fibrosis Trust have announced £20,000 funding for a 10-month stem cell research project that could correct the mutation in Dylan’s W1282X gene. - What have trials so far shown about this? How would it work? What percentage of CF patients end up having a lung transplant and to what extent does it offer a cure? I understand there is the risk of rejection/infection? One in three people with cystic fibrosis on the waiting list for a lung transplant will die before they can receive one. 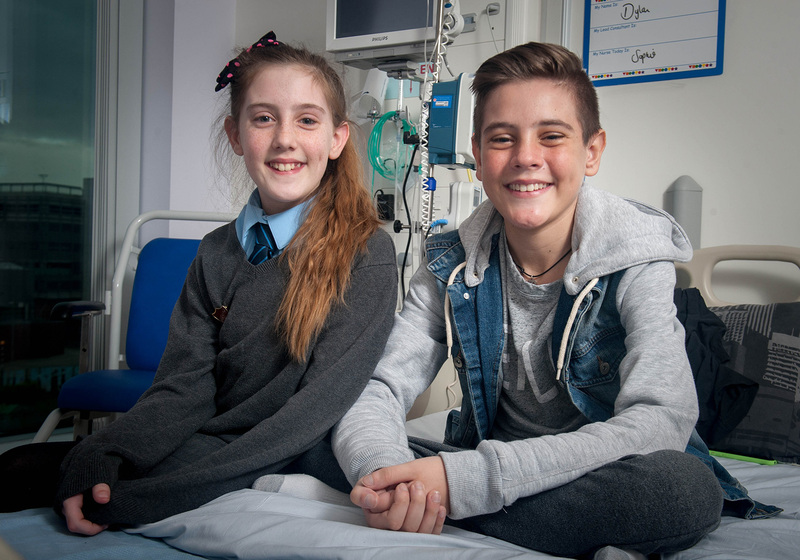 In 2014 we published a report containing 12 recommendations for increasing the number of successful transplants for people with cystic fibrosis, and improving the quality of care they receive throughout. 88 people with cystic fibrosis were listed for transplant or waiting on the lung transplant list in 2013, 18 of these died in 2013, 11 were removed from the list and 59 still remained on the list in 2013. 1916 lungs were offered for transplant in 2013 from 958 donors, only 404 of these were actually used. Smokers lungs make up around 39% of all donated organs. Once someone with cystic fibrosis reaches a certain stage in their condition, it may be that lung transplant is the only option to significantly prolong life. It may appear that transplantation serves small numbers, but it has the potential to affect the majority of the cystic fibrosis population. There are around 80 people with cystic fibrosis waiting for a lung transplant in the UK at any one time. 2,5 million people carry the faulty gene that causes cystic fibrosis, 1 in 25 of the population of the UK. 10,000 people are living in the UK with cystic fibrosis today, with 5 babies diagnosed each week with the condition. Median life expectancy is up to 43.5 years but a baby born today may live to see retirement. Sadly around half will die before they reach 30, making CF a nasty life shortening condition. The leading cause of death in cystic fibrosis is lung damage, 90 per cent of people will die from cystic fibrosis because their lungs become so clogged and damaged they can no longer breathe. For some transplant is the only means of survival when lung function becomes so low the lungs are not able to recover. This is often due to a spiral of infection and then scarring on the lungs. CF is a life shortening disease – it is a progressive disease, the burden of treatment and the permanent presence of symptoms can be stressful for everyone involved. Cystic fibrosis is a life-shortening genetic condition - only half live to celebrate their fortieth birthday. The thick mucus affects the lungs and digestive system in particular. It is not possible to accurately predict how long a person who has CF will live. Many different factors — for example, severity of disease and age at diagnosis — can affect an individual’s health and the course of the disease. Because of the way in which it obstructs the lungs and pancreas, CF can also lead to lung infections such as bronchitisand pneumonia, malnutrition, poor growth and it has been known to increase the risk of diabetes and osteoporosis. A lung transplant is the only thing that can extend life expectancy but 1 in 3 people will die on the lung transplant list.